The connection will be establish through the build-in connection manager. No need to use Bluetooth program in your phone. i. 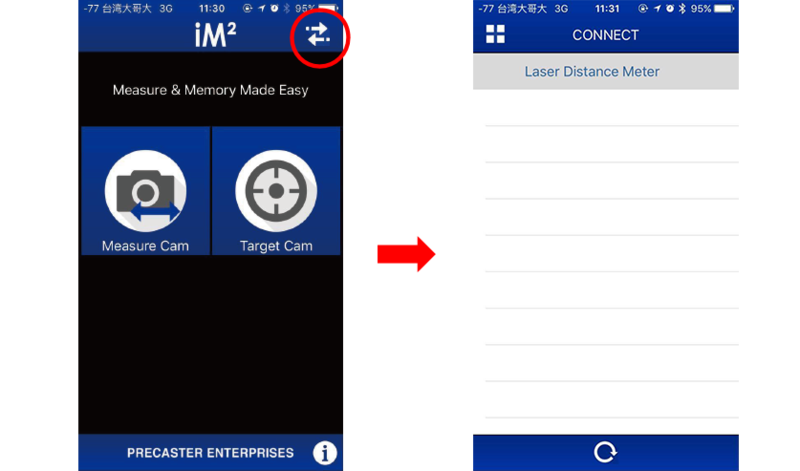 Switch on the Bluetooth of laser distance meter, you will see the flashing Bluetooth icon on your Laser Distance Meters. ii. Open the Precaster iM2 and access the Connection Manager. The manager will scan the nearby devices. Click on “Laser Distance Meter” to get paired. i. 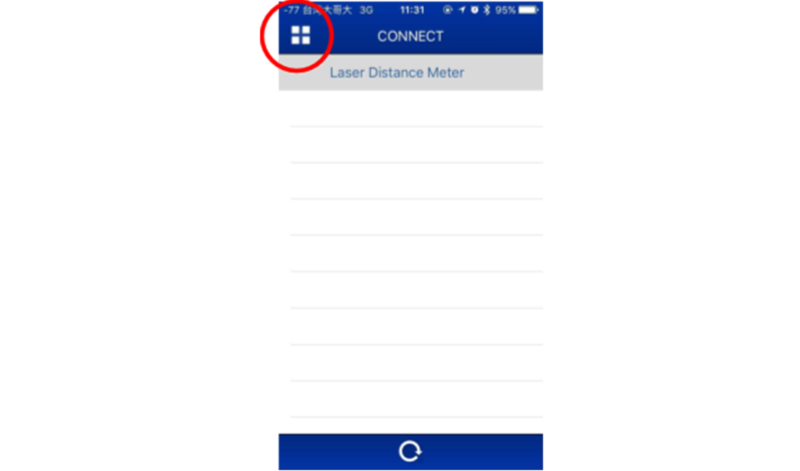 If paired successfully, the Bluetooth icon on Laser Distance Meter will stop flashing with a beep. ii. Tap the 4 squares to leave Connection Manager.